"Moea Strengthen and Rejuvenate Shampoo has done wonders to my hair! After years of coloring, perms, straightening and much more to my hair I've finally found a shampoo that has given my hair life again. I've been using it for about 2 weeks and it has already made a huge difference. This shampoo did what salon shampoos couldn't. Even my hair stylist asked me what I have been doing differently, I told her and even she bought a bottle! After years of fried hair, even my husband wants to run his hands through my new lively hair! Thank you so much for giving my hair a second chance!" Did you know that... TNI has monthly Sales over USD 50 million of Tahitian Noni based products. The new Moea® Spa hair care line includes Fullness & Volume Shampoo and Conditioner; Smooth & Hydrate Shampoo and Conditioner; and Strengthen & Rejuvenate Shampoo and Conditioner. These three shampoos and conditioners protect your hair and are based on natural, tropical ingredients leaving hair healthy and strong. All Moea® hair care products are free of added parabens and sulfates, a rarity in the beauty industry. Moea Strengthen and Rejuvenate Shampoo is the only remedy for thick and coarse hair. It cleanses gently, nourishes, and fortifies weak and thin hair, restoring youthful bounce and luster. See more Wonderful Hair Care Products From Tahitian Noni International. Gently cleanses hair making them smooth, hydrated and shiny. Nourishes, and fortifies weak and thin hair. Restors youthful bounce and luster. Makes hair appear stronger and healthier. Give New Strength and Shine to your hair Now! Rice and soy proteins strengthen hair while the restorative benefits of Noni juice, Noni seed oil, and mango seed butter leave hair luxurious and healthy. Special detangling properties protect hair from wet-combing damage, while sunscreen offers UV protection. Don’t settle for brittle and weak tresses. Let this rich conditioner restore your hair’s vitality and luster. Give your hair Full Volume! Buy Moea Volume and Fullness Conditioner Now! "Moea® Volume and Fullness Conditioner has been an excellent new addition to the Noni Hair Care! Honestly, my hair has never been this healthy and shiny before. To top it off it has a wonderful sweet smell to it that has been turning a few heads. After trying many different conditioners, I have found "the one". Thanks!" Try it Now to give your hair a Healthy Look! What ingredients does Moea® Strengthen and Rejuvenate Shampoo have? Helps cleanse the scalp of impurities and contains antioxidants. Hydrates and nourishes hair as only Noni can. Naturally conditions and softens hair. Helps to strengthen hair and increase manageability. Combines with rice proteins to strengthen hair and increase manageability. Helps provide protection from the elements. Water (Aqua), Decyl Glucoside, Sodium Lauroyl Sarcosinate, Cocamidopropyl Hydroxysultaine Cocamidopropyl Betaine, Morinda Citrifolia (Noni) Fruit Juice, Cocamide MIPA, Disodium Laureth Sulfosuccinate, Disodium Lauryl Sulfosuccinate, Morinda Citrifolia (Noni) Seed Oil, Hydrolyzed Rice Protein, Hydrolyzed Soy Protein, Cocos Nucifera (Coconut) Oil, Pantethine, Panthenol, Phytantriol, Polyquaternium-10, Gardenia Tahitensis Flower, Pikea Robusta (Red Algae) Extract, Hedychium Coronarium (Awapuhi) Extract, Citrus Aurantifolia (Lime) Fruit Extract, Ficus Carica (Fig) Extract, Ananas Sativus (Pineapple) Fruit Extract, Carica Papaya Fruit Extract, Butylene Glycol, Methylisothiazolinone, Tetrasodium EDTA, Potassium Sorbate, Citric Acid, Fragrance. Why Moea Hair Care products are different from other Hair Care products? All Moea® hair care products are free of added parabens and sulfates, a rarity in the beauty industry. They are all natural and very gentle on your hair. The Noni juice and Noni oil in Tahitian Noni® Shampoos work synergistically with coconut and palm extracts, avocado oil, and wheat oil to nourish, refresh, strengthen, and repair the hair. They contain essential amino and fatty acids that help protect against excessive dryness and counteract hair and scalp trauma. 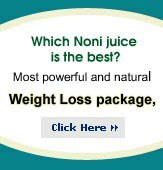 Read more about Tahitian Noni Juice, TePoemä® facial care, skin care, Tahiti Trim Plan 40 weight loss products. Buy Tahitian Noni hair Care Products Now! All Products come with 30 day Money Back Guarantee!